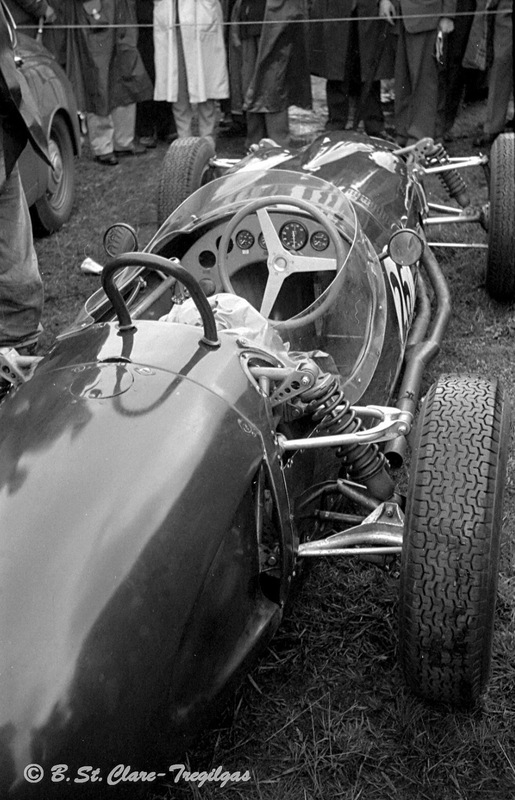 Jack Brabham won the race from John Surtees and Bruce McLaren in Brabham BT4, LolaMk4A and Cooper T62 respectively, all powered by Coventry Climax FPF 2.7 litre ‘Indy’ engines. Bored versions of Climax’ successful 2.5 litre F1 Championship winning motors. Hill finished 6th in his 2.5 litre FPF powered car. 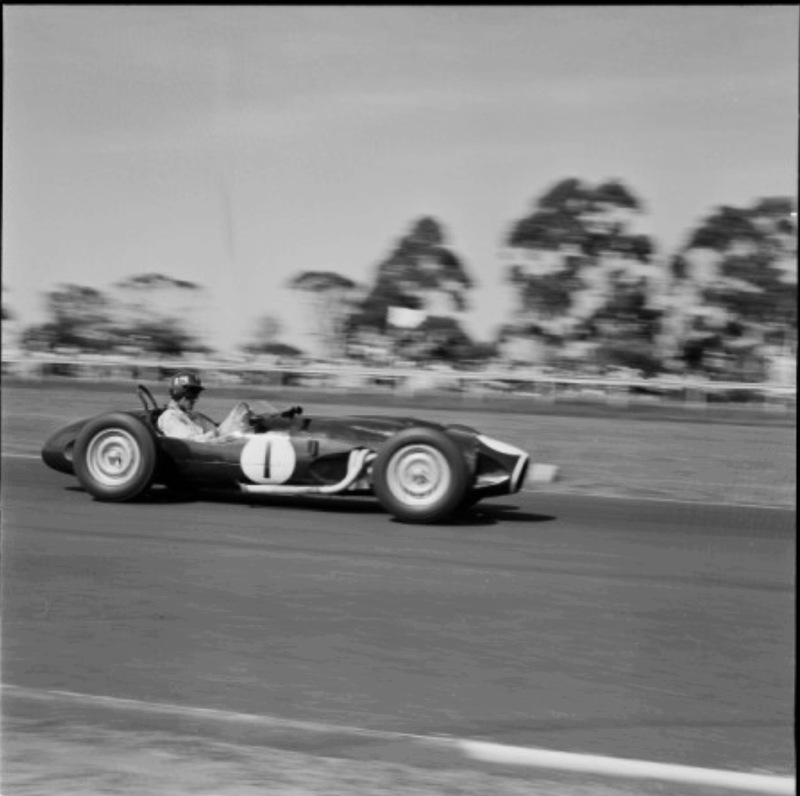 At the time Australian National F1 was Formula Libre, the ‘2.5 Tasman Formula’ commenced in 1964. 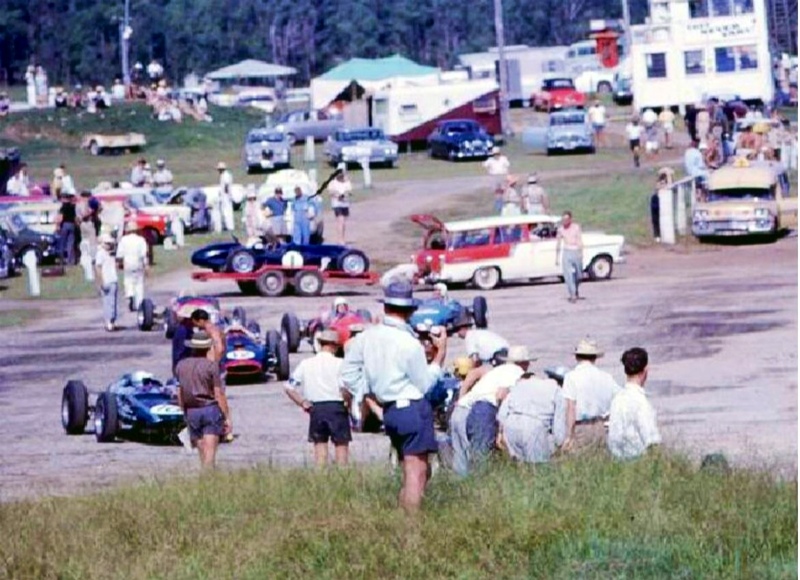 Hill also raced the Rob Walker entered, 2.5 litre FPF engined car at the ‘Lakeside International’, in Queensland the following weekend finishing second to Surtees on this very fast track, not necessarily the sort of circuit on which one might expect the car to shine. Hill was victorious in a wet preliminary race on the Saturday, the car excelling in the wet conditions. 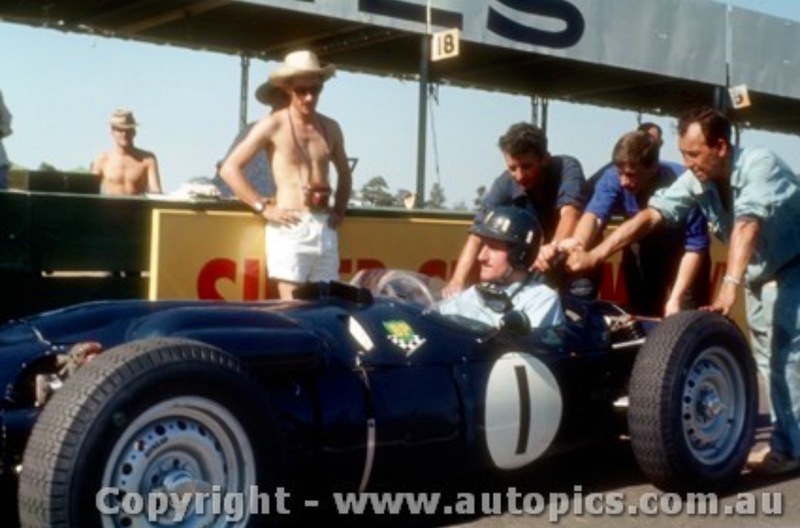 P99’s ‘Summer Sunshine Tour’ started in New Zealand in January the car being campaigned by ‘newly minted’ World Champion Graham Hill, victorious in his BRM P57 in 1962, and Innes Ireland. Hill drove in the NZGP, held at the brand new Pukekohe circuit on January 5, DNF with gearbox dramas on the second last lap, Surtees won in his Lola. Hill then returned to the UK, Ireland handling the car at Levin, Wigram and Teretonga on the 12th, 19th and 26th of January respectively. 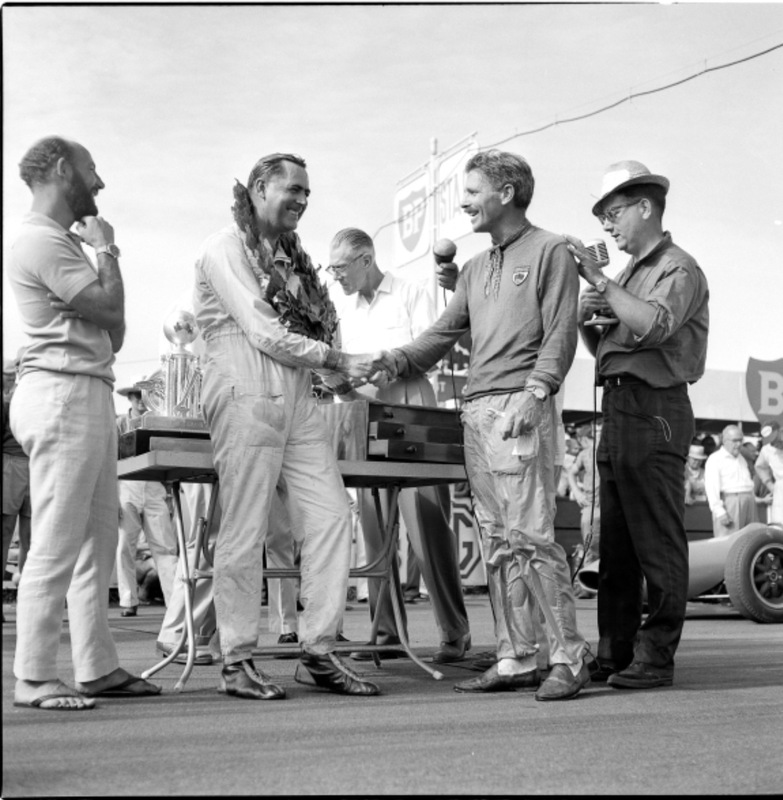 Innes was third at Wigram, victory going to Brabhams’ BT4, he retired with overheating at Wigram, the race won by Bruce McLarens’ Cooper T62 and was third at Teretonga, McLaren again victorious. The car was then shipped to Sydney for the Warwick Farm AGP and finally north to Brisbane by road before returning to the UK. The Ferguson Family Museum summarises the P99 as follows…’The creation of the Ferguson Formula four wheel drive system began shortly after World War II. Harry Ferguson had always loved the world of motorsport and had a vision of creating a four wheel drive system with the purpose of improving road safety. 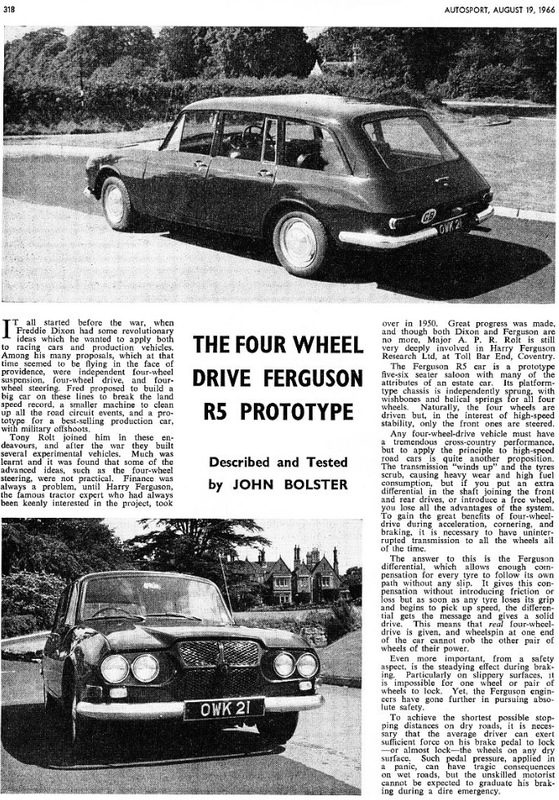 The Ferguson car, ‘the R5’, was 40 years ahead of its time. It featured four wheel drive, anti-lock braking, electric windows, disc brakes and a hatchback design, it was the forerunner of the modern car. 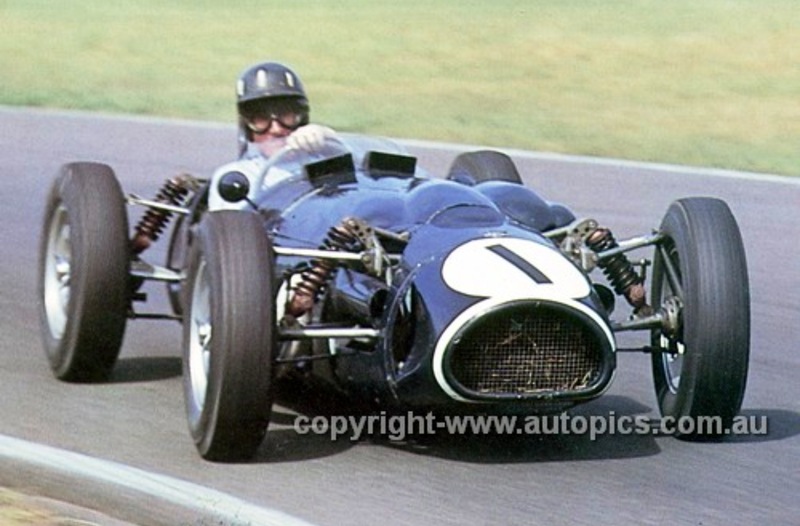 Harry Ferguson decided the best way to prove the importance of four wheel drive and anti-skid braking was to demonstrate it on a successful Formula 1 car. In 1950 designer, Claude Hill, Brooklands Riley racer, Fred Dixon and Tony Rolt, a POW escapee and 24 hour Le Mans winner, teamed up with Harry Ferguson to start development on what was later to become the world’s only Formula 1 winning four wheel drive car – Project 99. Later the Ferguson Formula four wheel drive system was widely adopted by rally cars and the motor industry worldwide in the form of the viscous coupling. Although designed as a racing car P99 was also a research vehicle intended to show the advantages and reliability of the four wheel drive system. What better way to generate public interest than to successfully race a car using the Ferguson Formula four wheel drive’. 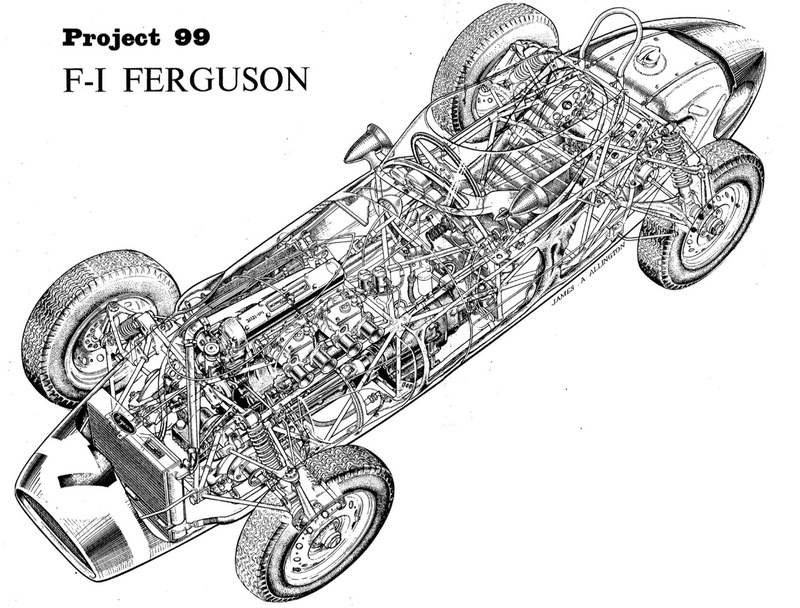 Ferguson hired Claude Hill from Aston Martin to design the car. 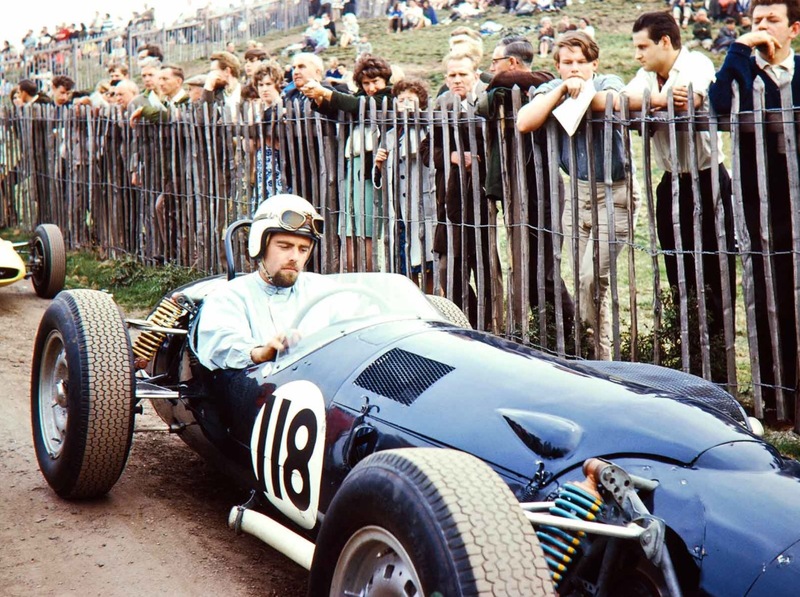 He used a then ‘state of the art’ space-frame chassis, front and rear suspension comprising upper and lower wishbones and coil spring/Armstrong damper units and adjustable sway bars. Brakes were Dunlop anti-lock, which was tested but unraced. Lightweight Dunlop alloy wheels were used, steering is rack and pinion. The clever bit was of course the 4WD system. It comprised a transfer box bolted directly to the 5 speed gearbox. The Climax engine was installed at an angle to allow space for the driveshaft to the front differential. The rear driveshaft was installed on the left side of the chassis, the driving position slightly off centre to the right. Similar to the weight balance, the torque was evenly divided between the front and rear wheels. 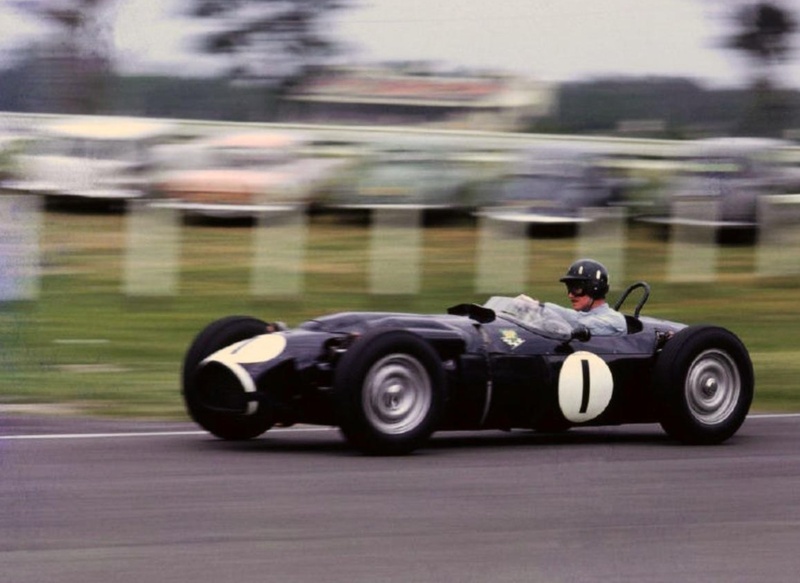 P99 was planned for the 2.5-litre F1 utilising the championship winning Coventry Climax FPF 235bhp, DOHC, four-cylinder engine. The rules changed and Formula 1 was restricted to 1.5-litres from 1961, which meant the extra weight of the four-wheel-drive system was a handicap. 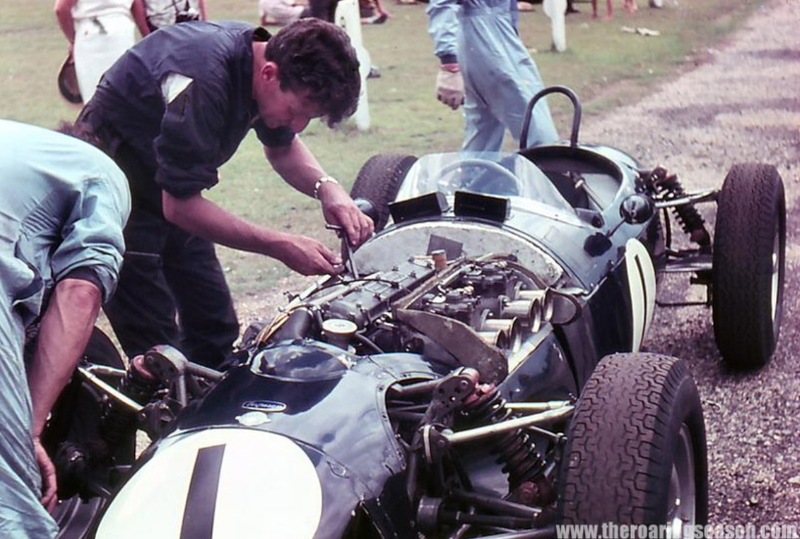 The Intercontinental series was established for the old 2.5-litre engined F1’s, to be raced in 1962, the Ferguson was therefore built to accommodate both the Climax 1.5 (151bhp) and 2.5 litre (235bhp) FPF motors. The whole project took less than a year. There were to be no concessions in relation to tolerance. Perfection would only just be good enough. Dixon was right when he calculated that differentials, bearings, gears and other drivetrain parts could be lighter if the energy was dispersed to four wheels rather than two. Ferguson’s central differential system, which would be the key to Peugeot’s and later Audi’s rally success in the 1980s, could balance out the delivery of that power to the wheels. Ferguson were keen to try the Dunlop Maxaret anti-lock brake system, the whole assembly would eventually find its way into the automotive mainstream some 30 years later. Sadly, Harry Ferguson died before his dream took to the track and it was Rolt who eventually became the projects’ driving force. 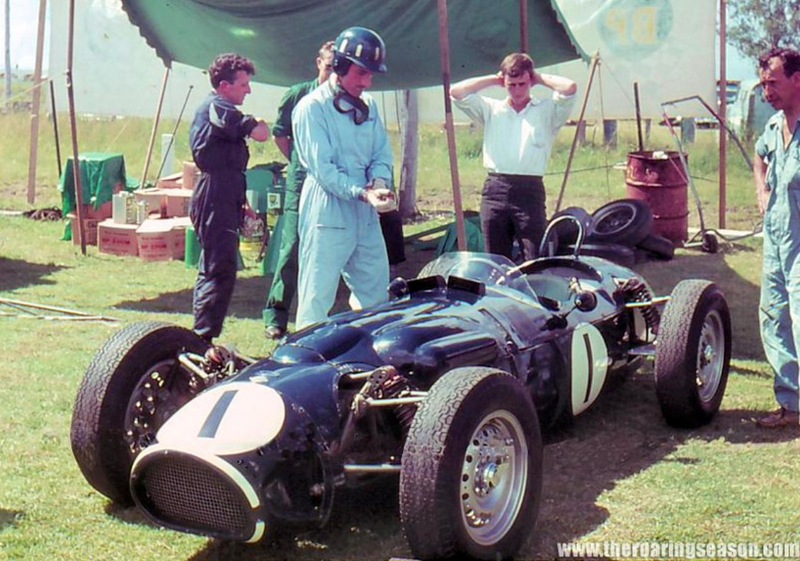 Launched at the 1961 British Empire Trophy at Silverstone, Jack Fairman drove the car which was entered by Rob Walker. The P99 had mechanical problems and didn’t finish. 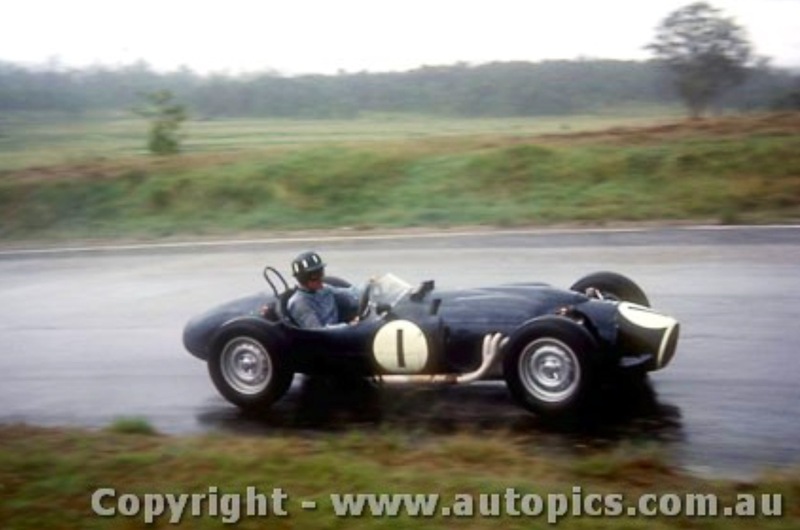 For the September 1961 Oulton Park Gold Cup, Moss returned in the P99 and to his delight, it was a classically British summer’s day – 57 degrees, steady drizzle and a wet track! 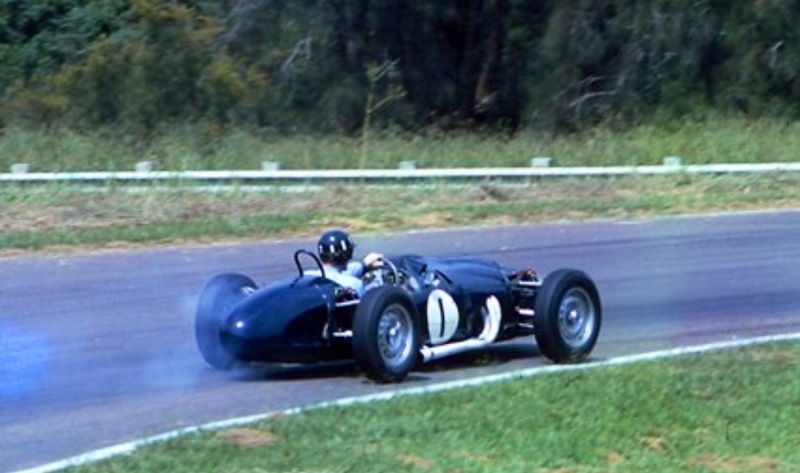 Moss won the race by 46 seconds from Jack Brabhams’ Cooper T51 Climax, the only F1 race ever won by a four-wheel-drive car. The CSI then banned four-wheel-drive from F1. 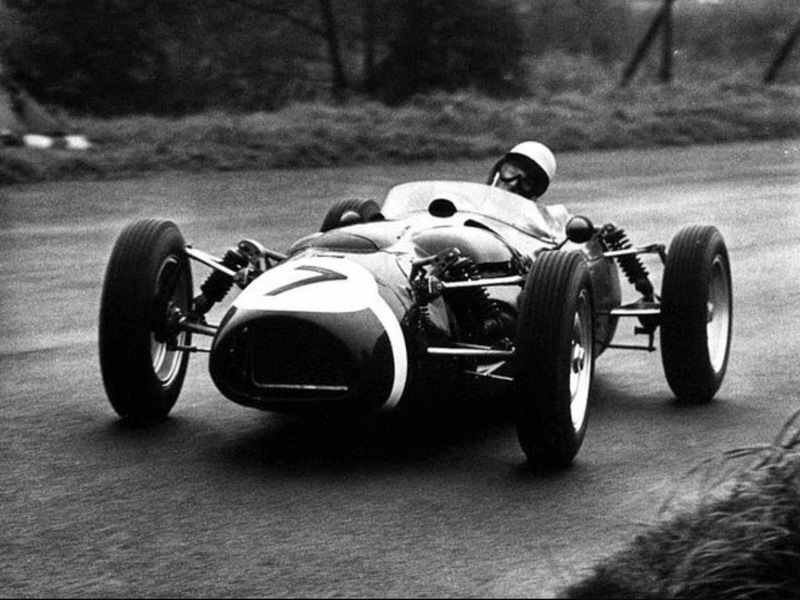 Moss had the option of using the Dunlop Maxaret anti-lock brakes but preferred to turn them off and use his own judgment. They would reappear in 1967 on the Jensen FF; the Chrysler-power coupé that was a four-wheel-drive version of the Interceptor utilising both the Ferguson four-wheel-drive and anti-lock brakes. The Ferguson P99 then raced in New Zealand and Australia in 1963 as outlined above fitted with a 2.5-litre engine in our 1963 F Libre International Series, it would have been interesting to see how the car performed with a 2.7 Litre FPF equivalent in capacity to the engines of the other front runners that summer. P99 returned to England and was leant to hillclimb racer Peter Westbury, who won the 1964 British championship with it. 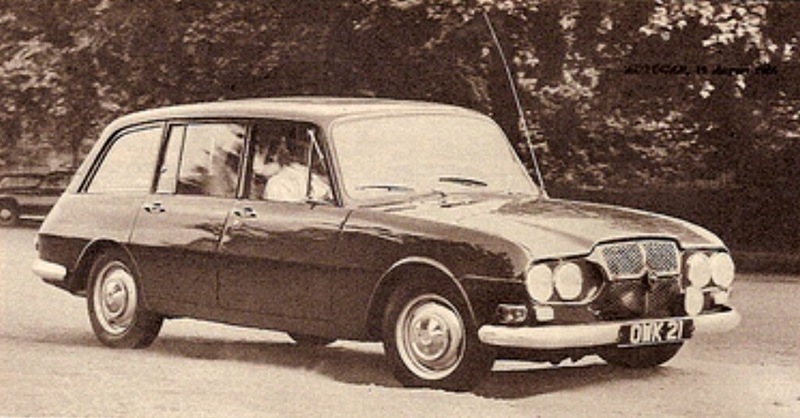 It also ran competitively in 1965 and 1966 and was retired in 1968. P99 also played a key role in the resurgence of 4WD at Indianapolis, there had been a lot of activity both immediately pre and post war with Harry Millers’ 4WD specials. 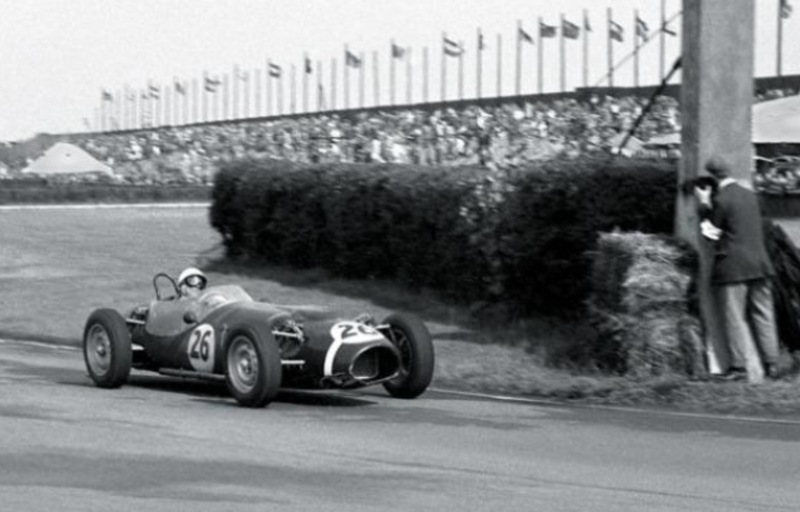 STP’s Andy Granatelli, on one of his trips to Europe was regaled by the recently retired Stirling Moss, his career ending accident was at Goodwood in 1962, about the dominance of his damp Oulton Park 1961 victory in P99. 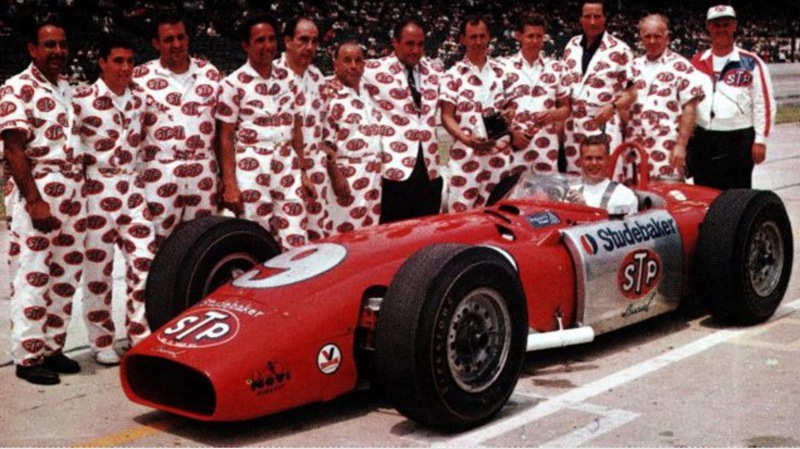 Granatelli then approached Tony Rolt at Ferguson to try P99 at Indy, Jack Fairman shortly thereafter put in some impressive 140mph laps in the 2.5 litre car around the famous ‘Brickyard’. 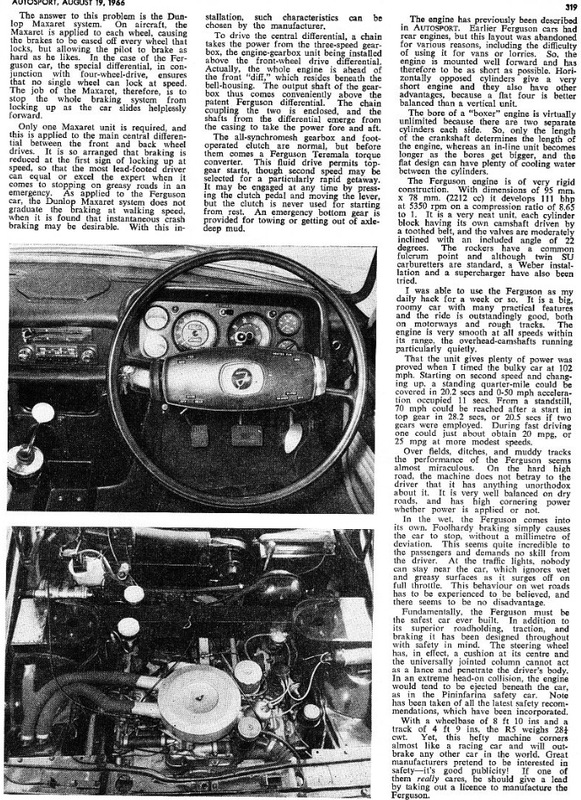 Andy was convinced and ordered a car from Ferguson powered by the Novi V8, the 4WD setup the same FF system as used on P99 but with the split being variable from 70/30 to 60/40 rear/front instead of the P99’s fixed 50/50 split. 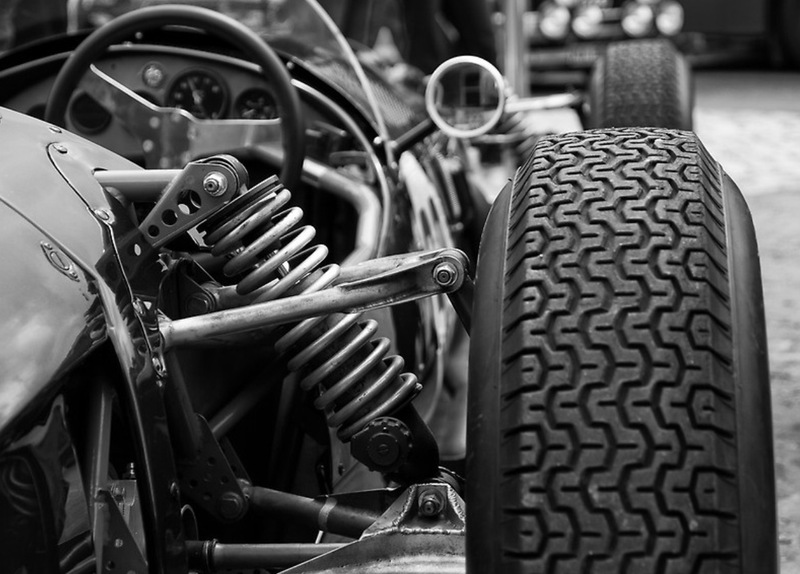 Four-wheel drive made another appearance in Formula 1 in 1969…as teams struggled for more traction, the Ford Cosworth engine was developing well in excess of 400bhp at this stage, putting the power down was key to improved performance. At the time 4WD was being used successfully at Indianapolis, it was therefore a natural direction for the F1 teams to explore, particularly Lotus who had been racing at Indy since 1962 and using 4WD competitively, putting accidents to one side, in their 1968 and 1969 contenders, the Lotus 56 Pratt & Whitney, a gas turbine powered car, and Lotus 64 Ford, powered by a Turbo Ford engine. 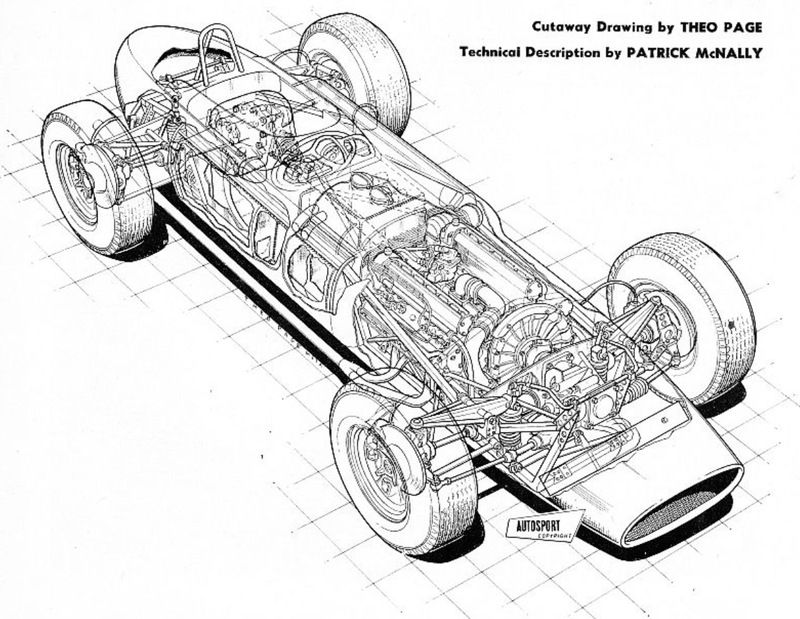 Matra, Lotus and McLaren all tried the Ferguson system and Cosworth devised their own 4WD solution and car. The introduction of wings, which could achieve the same traction outcomes without the weight penalty, and advances in race tyre technology and widths provided simpler cost-effective solutions than persevering with 4WD.. Overall, only eight four-wheel-drive F1 cars were ever built. In 2004 following a period of 35-plus years in the Donington Collection…the ‘one of a kind’ (only 1 chassis was ever built) Ferguson P99 was retrieved by the Ferguson family to the Ferguson Family Museum on the Isle of Wight and overhauled. The car was stripped and was in remarkably good order, it was re-assembled using all of the original parts, including the extremely rare twin-choke Weber 58 DCO carburettors, and re-fitted with the totally original bodywork which still wears original Rob Walker team paint and livery. 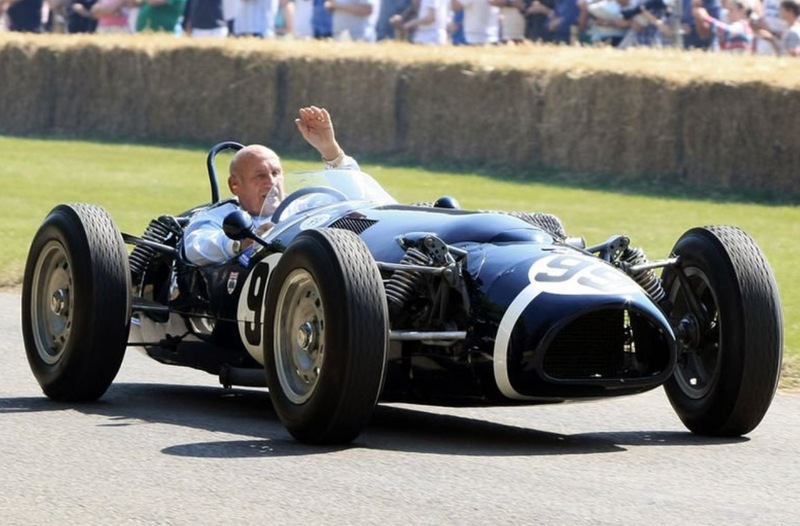 Sir Stirling Moss drove it at the 2005 Goodwood Revival and at the Monaco Historic Grand Prix in 2008. In 2006 Moss handed it over to Barry “Whizzo” Williams at Goodwood, who started 18th and had worked his way up to third before his brakes faded and he finished in that position. P99 still appears regularly in suitable events its historic significance enormous. What a wild car this is! Conceptually similar to the P99, the chassis was a spaceframe with a monocoque centre section. As you can see the suspension is inboard with rockers actuating the spring/dampers, P99 is outboard. Contrary to common Indy practice then the suspension was not offest, but the engine and transmission were, a simpler solution. Novi used Dunlop 7X15 inch tyres fitted to alloy wheels and disc brakes using alloy calipers. The Novi engine was designed pre-War by Bud Wingfield and Leo Goossen and built by Fred Offenhauser. It was a 90 degree, DOHC V8, 2741cc in capacity. Bendix fuel injected and using a Paxton 2 stage centrifugal blower power was circa 830bhp @ 8200rpm. The engine never won Indy but the engine and its unique sound remain iconic to this day. Ferguson R5 road car prototype. Autosport Road Test P1. What a lovely article which brings back youthful memories. I remember seeing the P99 at Warwick Farm when I was a young kid. Pretty extraordinary car in every respect. It would have been interesting to see how GH would have gone with a 2.7 FPF to match that of most of his closest competitors. agreed. I’m not quite sure where the car is now. If I recall, it formed part of the Donnington collection for many years. We have been lucky enough to see all manner of cars in Australia in the Historic Racing Era but not a P99 thus far- hopefully one day! While I was born and grew up in Australia (Goulburn and Sydney) I’m now a long-term resident in the UK. I’m actually making a quick visit to Australia next month and taking in the Phillip Island historic weekend. A mate of mine is spannering the ex-Roy Salvadori Cooper Maserati which the organisers have paid to ship out to Australia for the race. This car is normally maintained in workshops not far from where I live. See attached link (hopefully it works). Shall be there all weekend so be good to touch base if you have a moment. My phone number is +44 7876 791577. Perhaps let me know your phone number and I can text you at Phillip Island. Shall give you a call- my number is +61 419 332342. OK Mark. Either I call or the other way around. I look forward to meeting up.